National Radiologic Technology Week is celebrated each November to raise awareness and recognition of the vital work of radiologic technologists across the nation. The theme for this year’s celebration is “Discovering the Inside Story.” The celebration takes place each November to commemorate the anniversary of the discovery of the X-ray by Wilhelm Conrad Roentgen on November 8, 1895. At Beebe Healthcare, the week-long celebration calls attention to the valuable work of registered technologists in the healthcare field and the highly technical images that they make. All of Beebe’s technologists have achieved board certification for the specific modality they work in and, more than half of the Beebe team holds two or more certifications. The images the technologists create play an integral role in the medical process and in the lives of millions of patients. 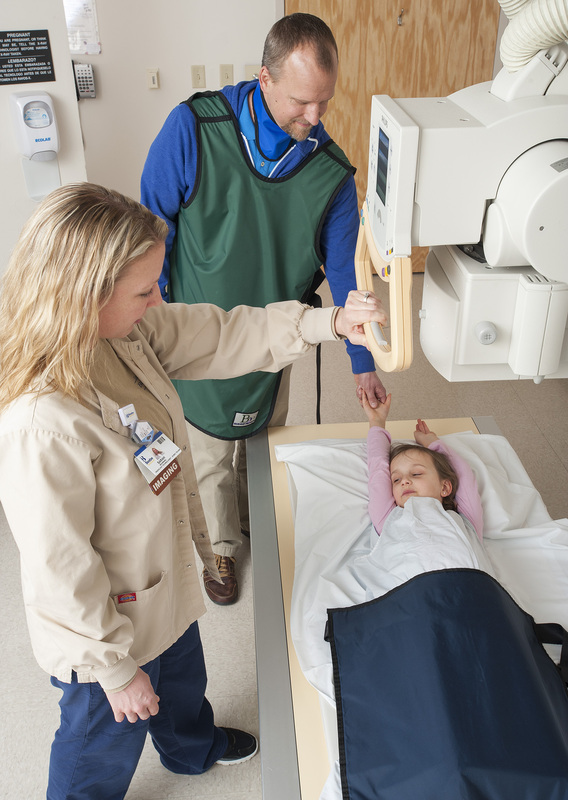 Beebe Healthcare’s Diagnostic Imaging Department includes 113 team members at six locations performing services that include radiography, C-Arm, 2D and 3D mammography, ultrasound, computed tomography (CT), magnetic resonance imaging (MRI), nuclear medicine, positron emission tomography–computed tomography (PET/CT), and bone density. Beebe’s Diagnostic Imaging Department consists of 10 Board Certified radiologists who read every image and are available around the clock. Annually, the team provides imaging for more than 149,000 procedures. During the last fiscal year, the Imaging Department was the first in Sussex County to add 3D Mammography and provided this service to more than 6,700 women. Beebe’s technologists and radiologists underwent specific training to gain the needed expertise for this new technology. Thanks to the great work of Beebe’s team and this technology, the biopsy rate has fallen by more than 13 percent. The number of patients called back for follow-up testing has decreased by more than 19 percent, said Dan Mapes, MPA, RT(N), CRA, Director of Diagnostic Imaging at Beebe Healthcare. “This year Beebe will be the first in the state to install a fully digital PET/CT machine. We have also added a low-dose CT Lung Cancer Screening program with the help of Tunnell Cancer Center team members and have added digital X-ray to our portable services at both the hospital and Bookhammer Outpatient Services Center at the Rehoboth Beach Health Campus. We are also supporting cardiac screening with our CT cardiac calcium scoring,” Mapes said. Beebe Healthcare’s Diagnostic Imaging Department is American College of Radiology Accredited and has earned the designation as a Breast Imaging Center of Excellence. Caption: Beebe Healthcare celebrates National Radiologic Technology Week. Each year the Beebe team provides imaging for more than 149,000 procedures.